This is the title of an all-ages, no-experience-required, everybody-welcome dance class that Peggy can lead while in residence in your community. move is as an event for 16 performers, working in pairs, that explores basic dualities of caregiving and also of dance practice: touching and being touched, watching and being witnessed, movement through the body and that same body’s movement through space. Join Peggy for a presentation that delves into art history to reveal intriguing parallels between the evolution of modern dance and the major visual arts movements of the 20th century. Created with Sarah Chase in 2004, The Disappearance of Right and Left is a seamless combination of modern dance and storytelling. Peggy recounts 12 interweaving family stories, using direct address, poetry and movement. Flux is a free, no-experience-required workshop for people of all ages who would like to participate in a group movement experience. 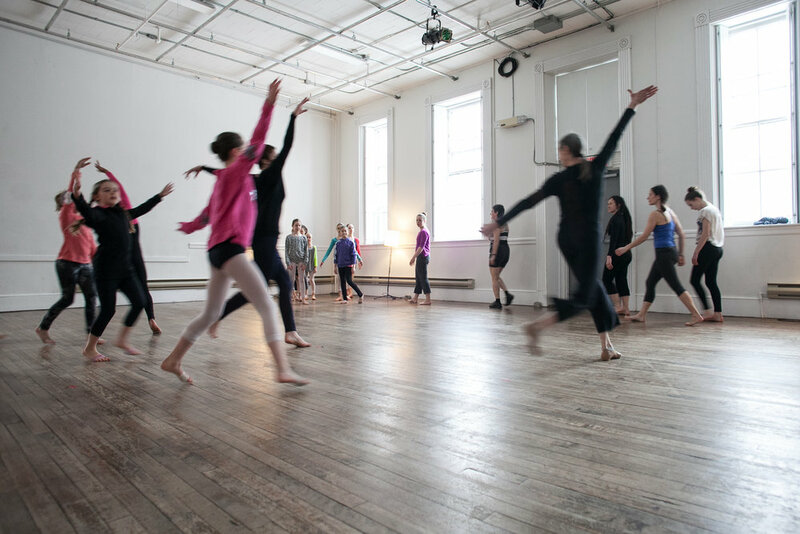 It can be tailored for dancers, non-dancers, or for mixed-abilities groups. A master teacher, Peggy Baker teaches regularly at universities and professional training programs throughout Canada and the U.S. Master classes for dance students and professional dance artists can be tailored to all levels of experience and size of group, and can be based in technique, creative practice, or repertoire. FluxDelux is the deluxe version of Flux, and marries contemporary dance with cutting-edge new media technology through a tailor-made iOS app, designed by creative technologist Jacob Niedzwiecki. poems for body and breath is a flexible performance piece brimming with potent and evocative images that celebrates cultural diversity within the context of community.